The Fabasoft Cloud GmbH, together with SSC-Services GmbH from Sindelfingen and the renowned world leading automobile manufacturer Daimler AG won the "EuroCloud Europe Award 2013" in the category "Best Business Impact by Cloud Services" as part of the "EuroCloud Congress 2013" in Luxemburg. The prestigious award acknowledges Fabasoft’s consistent philosophy and efforts to offer a European Cloud with data centres, providers and guaranteed data storage in Europe. With our commitment to information technology “Made in Europe” we've provided important stimuli for the improvement of the entire economic sector and claimed back a portion of autonomy in the ICT and cloud computing sector for Europe. At the award ceremony, the prestigious, independent, international jury was particularly impressed with the quick solution implementation. Based on the high-performance Fabasoft Cloud, a European business cloud for enterprise file sharing and B2B collaboration, the entire certificate management for the Daimler AG’s tyre suppliers was able to be modeled in a cloud app in just five days. The extremely quick implementation of the CCMS cloud app was possible due to a collective preparation of the specifications with SSC-Services GmbH, who specialise in electronic data exchange and in collaboration between automobile manufacturers and different tyre suppliers. The solution approach also provides secure and authenticated access to the certificate management system for mobile users with tablets and smartphones. Daimler AG was looking for an application for certificate management, which, with the opening up of new future markets such as China, is becoming increasingly important. Because of the possible security risks involved in granting external access, internal IT systems could only be used for open collaboration with business partners to a limited extent. As a result, the jury opted for the mature Fabasoft Cloud that fulfils all the requirements of a state-of-the art certificate management and brings significant cost advantages for Daimler AG and the involved partner companies. Being in an outstanding position as the only genuine European cloud with open source software inaccessible for US authorities, the right partner was quickly recruitred to extend the functionality of the Fabasoft Cloud into the app requested by Daimler. For the certificate management with tyre suppliers, specific, high security Teamrooms for each tyre supplier are created in the Fabasoft Cloud. Authorized system users from the respective manufacturers can access their own certification management using two-factor-authentication (client certificate and digital ID in form of personal ID card, citizen card or mobile signature). The system enables multiple certificate referencing to the OEM locations (Original Equipment Manufacturer) and updating at a central point. Browser-supported, seamless collaboration with business partners over the Internet with certified end-to-end security from end device to data centre and structured business processes with versioning, auditing, cross-border workflows and records management guarantee that Fabasoft reliably meets its service levels. With "Mindbreeze", "Individual Meta-data Tagging" the cloud app solution installed for Daimler AG sets new standards in the search for documents and data as well as making them available in a semantic search index. By storing Daimler's cloud data in our high tech data centres in Nuremberg, with regional governance for data, access and legal security as well as with certified quality standards based on German contracts and service level agreements, we also fulfil all the compliance requirements of the automobile group. Efficient global collaboration through cloud computing – "share globally" – and secure data storage in the customer’s country with national jurisdiction – "store locally" – provide the much needed confidence when moving business-critical data to the cloud. 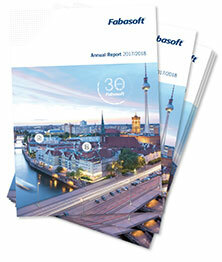 The success story of Fabasoft at the "EuroCloud Europe Award 2013" began in late spring this year. Only the winners of the national EuroCloud Awards of the participating countries were eligible to apply for the European Award. On the 14th of May 2013 Fabasoft, together with Daimler AG, won the "EuroCloud Germany Conference" award in Karlsruhe in the category "Best Business Impact" with their cross-company and cross-border management solution for product certificates of vehicle components. Being an essential part of successful operation in the sales market, the importance of certificate management is critical. The consequences of a missing valid certificate of a type of tyre or headlight, for example, can lead to an import stop. That’s exactly why the expert committee chose our solution: The combination of dynamic document management, boundless business collaboration, obvious quality improvements and massive cost reductions raised the flexible Fabasoft cloud platform to the highest pedestal at the German contest. Just a few weeks later, in June, as part of the "EuroCloud Days" in Vienna, Fabasoft won first place at the "EuroCloud Austria Awards 2013" in the category "Best Case Study Commercial Sector". We won the award with a flexibly accessible mobile cloud solution that enables blind and visually impaired editors at the Swiss integration radio station "Radio Blind Power" to create radio concepts and programs on the move or at home and to share these with the production team. This award in the domestic EuroCloud qualification underpins Fabasoft’s commitment to provide the best possible usability for all users with software services and apps offered in the cloud. The non-discrimination of physically impaired people in the use of cloud applications is an important ethical concern at Fabasoft. 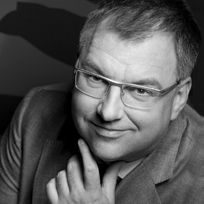 The "Radio Blind Power" solution, our attempt to create accessible access to a mobile cloud application for blind and visually impaired people, turned out to be a huge success thanks to our head expert in Linz, Mario Batusic. Being blind himself, he knows and appreciates the special needs of blind people and has been working on implementing these in web and software development for over 17 years. 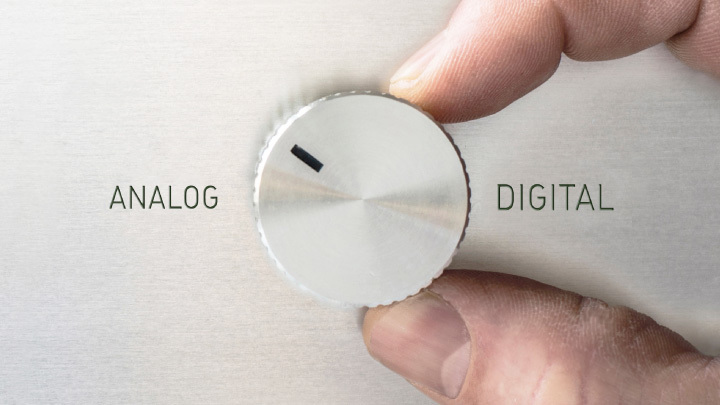 Furthermore, due to the close cooperation with the Swiss radio station and the continuous feedback concerning accessibility and the resulting improvement suggestions, we were able to continuously modify and optimise the product. As in the next years the provision of IT services in the cloud will become a common practice, we need "United Clouds of Europe". By this I mean a single, Europe-wide platform to store and provide electronic data from shared, virtual and accessible server landscapes that support European languages. Technical standardisation and secure as well as common contract- and procedural rules regarding data usage and storage must be state-of-the-art. And it goes without saying that European cloud providers must store data in European data centres.